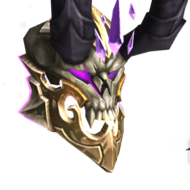 Complete description of your issue (do not forget to specify the issue, all conditions for making the issue to happen, and if the issue is related to a phase, specify the phase in which you found this issue): after a long time farming eredar navigator for the the hidden artifact appearance essence of the executioner (wich start be looting Grimoire of the First Necrolyte from this npc) and visage of the first wakener (wich star be first looting Damaged Eredar Head, 2) Deformed Eredar Head, 3) Malformed Eredar Head, 4) Deficient Eredar Head, 5) Nearly Satisfactory Eredar Head, 6) Visage of the First Wakener etc) the npc dont drop nothing even after hours of farming and that npc dont drop nothing the only drop if from the other demon in the room. 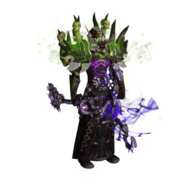 The shaman, Druida, Mage, Rogue, monk, hunter and priest have the hidden apereance v:. I agree. Im afflication walock playing whole year without good art skin. Please give us some choses.